1 What is San Juan Night? San Juan Night is an ancient midsummer celebration that takes place in the evening of the 23rd of June. It is also known as Saint John’s Eve. 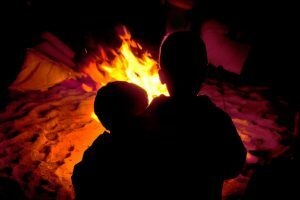 The evening of San Juan is one of the shortest nights of the year, and people come together around a bonfire to celebrate the beginning of summer and guard off the evil spirits. San Juan (also known as San Xoán, Sant Joan, San Xuán or São João) is celebrated in Spain, Portugal and South America. In Alicante (Spain), the festivity takes place on the night of the 24th of June. San Juan is Alicante’s biggest cultural event, and the celebration has been declared of International Tourist Interest. Portugal’s most important St John’s Eve celebration is the Festa de São João do Porto, one of Europe’s liveliest street festivals. At the other side of the Atlantic, this festivity is known as Festa Junina (June Party) in Brazil. The festival has ancient, pagan origins. Originally a summer solstice celebration, bonfires were lit to honor the sun and to protect against the evil spirits who could roam freely for the night. Overall, San Juan was a celebration tied to nature, honoring the change in season. After the introduction of christianity, the celebration became linked to the birth date of Saint John the Baptist, the 24th of June. The San Juan celebration in Galicia is entrenched in traditional culture and superstitions. There are many protection, purification and fertility rites associated with San Juan. But the celebration is far from outdated: San Juan is a night in which people gather around a bonfire to eat, drink and party, and there are as many ways to celebrate as there are people. During San Juan, the veil between the spirit world and ours becomes thinner, so we need to protect ourselves against evil spirits, sorcery and the evil eye. But how can we do it? Bonfires are probably the most iconic element of San Juan. Also known as “cacharelas”, they are lit to celebrate but also to roast food and keep warm (even during the summer, Galician nights are usually cool). It’s tradition to jump over the fire for good luck and protection, but how many times should we do it? Well, there are different opinions. Some say 7 or 9, and others just that it must be an odd number. People burn old clothes and things they want to get rid of as a purification ritual. And since San Juan is right after the end of the school year, many students burn their notes or even their books to celebrate having passed their exams. Water is also a key element in the Night of San Juan. Traditionally, people gathered water from seven different fountains, a tradition known as “facer o cacho”. A “cacho” is a bowl where you must leave the water overnight. The bowl has to be left outdoors during the night, alongside San Juan herbs. In the morning, you should wash your face with it, but be careful! If you look into a mirror while doing it, the spell doesn’t work! Swimming in the sea is part of the ritual too. Water and the sea are associated with purification and fertility. If you want to take part in the ritual, you must jump over nine (or seven) waves. But if you’re planning to enjoy San Juan, keep in mind that swimming in the sea in the middle of the night could be dangerous, especially amidst a massive celebration in beaches like Riazor or Orzán, where they have prohibited it for security reasons. Many of the herbs have medicinal properties, so they were collected both because of this and because of their power against evil. If you want to prepare yours, here are some of them! But how do we use them? Herbs are left outside during the night of San Juan, so that the dew and the solstice infuses them with power. Usually, they are left inside a bowl with water (that must be picked up from seven different fountains!). This herb infused water will be used to wash in the morning. The herbs are then dried and used in home remedies. Herbs can also serve as protection from evil spirits and witches, so you could hang a bouquet by the door or the window. What’s a Galician party without its food? As the saying goes: “polo San Xoán, a sardiña molla o pan” (on the day of St John, sardines soak the loaf of bread). Sardines are, without a doubt, the star of San Juan. They are eaten alongside cachelos (boiled potatoes) or bread. Depending on what part of Galicia you’re from, this bread can be broa (Galician corn bread) or wheat bread. The beginning of summer is the best time of the year to eat sardines. However, because of the celebration, it is also the most expensive. But there are always other options. Some people use the fire to roast some meat and have a barbecue (churrasco), whilst others bring something easier to make, like a sandwich. 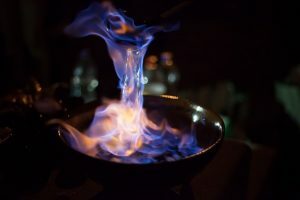 Some people mark the occasion with a queimada, a traditional alcoholic beverage made from aguardiente and flavored with coffee beans, lemon peel and different herbs. Queimada is set alight (its name is Galician for ‘burnt’) while someone reads the esconxuro, a queimada spell. It certainly fits the mood of San Juan night! 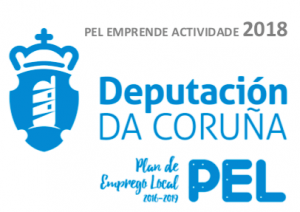 Coruña’s San Juan celebrations have been declared of National Tourist Interest. 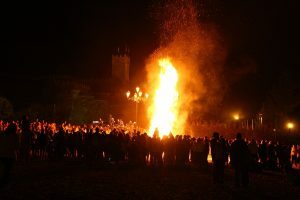 During the night of San Juan, the bonfires spread around the city, especially in Riazor and Orzán beaches, where locals and visitors gather to celebrate the solstice. And on the days before the celebration, you can find many activities related to San Juan. The night of San Juan in Coruña’s beaches is particularly pretty, accompanied by fireworks and flying lanterns. But all the city is buzzing with life during this night. But A Coruña is not the only place where you can celebrate San Juan on the beach: Vigo, Panxón or Bueu in Pontevedra are really popular too. On the morning of the 23rd of June, you will be able to find wild flowers in Santiago’s food market, to prepare the cacho for the night. 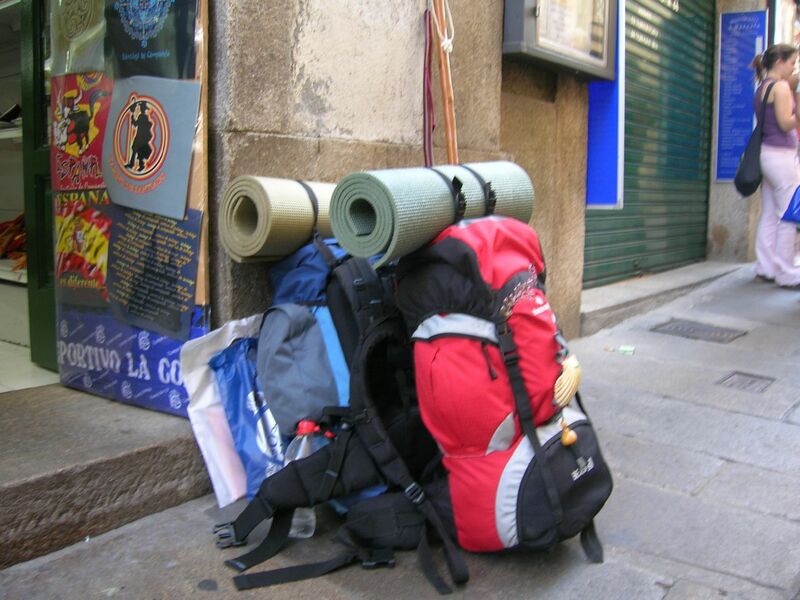 Santiago Turismo also offers an itinerary around the city to gather water for it. During San Juan, the streets of Santiago fill with the smell of smoke from the cacharelas. Most people will go celebrate around the Old Town, but the bonfires in Pelamios, Vista Alegre or San Lorenzo are quite popular too. San Juan celebrations mix the old and the new, traditions and modernity. They are a night to come together around a fire and have fun with friends and family. It is also a time to join the community at large and to celebrate an ancient tradition. Have you ever celebrated San Juan? What’s your favorite part of the festivity?